With the growth in mobile technology in recent years has provided more ways for people to get their gaming fix. 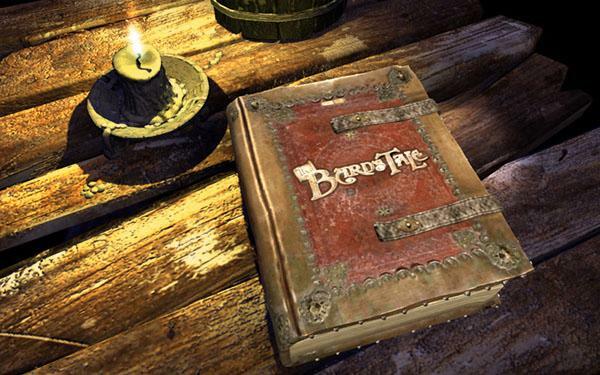 Tablet PC’s arguably provide the best way for this with their larger displays and today we have news for owners of the BlackBerry PlayBook who can download The Bard’s Tale quest. For those that own the device and are currently looking for an epic game to play on the device, The Bard’s Tale has finally been launched in BlackBerry App World. According to CrackBerry the game is packed full with great graphics and gameplay, and even humour. Users take control of the character Bard and battle their way through what could end up being between 20 and 30 hours of playing time. Some of the games features include fifty enemy types contained in a vast world to be explored that include, castles, caverns, dungeons, haunted tombs, towers, and much more. There are more than 12 special boss enemies to defeat and 16 magical characters that can be summoned to aid you, and there are more than 150 unique items of armour, instruments, weaponry, loot, tokens, and artifacts. Other standout features of the title include more song and dance numbers than any other game, which even includes a zombie dance off, and more than 14 hours of voice acting from Hollywood talent including Cary Elwes. The game is priced at $5.99 that may seem a bit steep, but when you consider the size of the game coupled with the entertainment it’s worth a look. It has to be noted though the game requires 3.2GB of storage but those that have already begun playing it have given the game favourable reviews. To find out more and to download head over to BlackBerry App World, and check out the video trailer below.